In episode 94 of the podcast Kelly Surtees and Austin Coppock join the show in order to talk about the astrology of December, as well as reflect on the results of the recent US presidential election. Some of the highlights of the forecast portion of the episode include an extended discussion of the first Jupiter-Uranus opposition, the Mercury retrograde that begins on December 19, and the two lunations that occur in Gemini and Capricorn. Right at the top of the show we announce the winners of this month’s patreon giveaway prizes. The winner of the free copy of the astrology software program Delphic Oracle was listener Ricardo Carmona. The winner of the pass to the NCGR astrology conference in Baltimore in February was Barbara Willis. Thanks to our sponsors for supporting this month’s giveaway! If you would like a chance to win a prize in our next giveaway then just sign up to become a patron through our page on Patreon on the 5 or 10 dollar tier. Thank you Austin for your insight on antiscia points / solstice points. I’ve been exploring them and this podcast helped me to have better insight into them. In what I’ve learned so far I think they do have a real impact on a chart and your noting the Uranus – Neptune antiscia opposition during November makes good sense. * I do find election charts to be helpful and if it’s not too much work for you I’d like you to continue to offer them even if they are in the middle of the night. It’s true that it’s easier to make use of daytime election charts but then many email programs offer scheduled sending options and that helps. I look forward every month to the elections, and I actually use them regularly. So I vote to keep them! I am not as interested in the electional portion of the show as I am the forecast. Great discussion this month. Thank you. I love this podcast, the monthly forecasts, and the elections! I really hope you’ll keep doing them for us — truly so appreciated. Thanks for the great conversation and heads up on 2017. I can see how it will take all of next year for the Jupiter Uranus to play out in real events – especially political. I do not use the elections. My main interest is the commentary on the forecast and review of previous month’s events. I love the elections! Thanks! Hi, thanks for the podcasts! I usually zone out during the elections, they’re not really relevant to me. I find the other parts of the podcast more useful. Hi. I wouldn’t miss the podcast. I enjoy the lively discussions about upcoming astrological events and use the elections when appropriate. I vote to keep them. Thank you for the podcast, Chris. Also, kudos for displaying an uncommon amount of integrity regarding the election prediction. I enjoy hearing the elections, and I often use them for planning works and rites. It would be good if for each election you give a brief explanation of what it would be good for, and include that in the notes. You often do this, and it is what makes them useful and educational. Thanks! Love the elections. Please continue them. This episode was especially interesting because it brought different techniques to bear on the topics at hand. Please continue that, too. IMHO the Trump victory is related to this Uranus/Pluto square. What we have just seen is the complete meltdown of the establishment. There is also this #pizzagate trend on Twitter right now, I don’t know if it’s crazy or nor, but what I see is that the mainstream media are now completely irrelevant : Internet is the true media from now. Saturn will soon be in Capricorn and we will then start a new world for the next 30 years. I think we have just seen the fall of the previous world (that started in 1989 with the fall of the Berlin Wall). I don’t know what’s coming starting 2018, but it will be such an important time (Jupiter and Pluto in Capricorn too). Sebastien – yes, the Trump vote was an anti government vote forcing both parties to be more in touch. The Saturn Neptune square played into to it as well – the overwhelming emigration from Syria and resultant xenophobia. After eight years of purposely breaking the government – rendering it ineffective to a large extent, the Repubs now have to put up or shut up with this weird President they would rather not have. I predict power struggle – implosion. Now the New York Times refusing to comply with the closed press demand; Trump handlers controlling the news the people get by not allowing Trump to be interviewed by the press – to not answer their inquiries (because he cant). This severing/shutting out/control seems so Saturn. I think the NYTimes will have an interesting chart as well ! I agree – 2018 even more interesting. Also – the late August eclipse at 28 Leo on his ASC and Mars square Algol on MC. Ohhh and after this Capricorn reboot, there will be a lot of Aquarius (Jupiter, Saturne and… Pluto). I think there will be crazy stuff regarding technologies. Is this the rise of the machines ? It will be very interesting for astrology too. 2017 seems more like a transition/ending year, but after that… we are entering unknown territories. Yes, the late August eclipse ! There is a lunar eclipse in Feb at 22 Leo. There were the same eclipses at the same degrees back in 1997 and 1998. I was not able to find out what Trump was doing at that time. Does anyone know. Seeing how the eclipses effected him in the past can lead to indicators for this year. I like Robin’s idea of an election/inception mini-episode with expanded explanation/discussion. I LOOOVE the election charts — favorite part of the broadcasts. I learn so much from the discussion! I followed you for the elections mainly, I love the whole podcast with the forecast,but elections it’s what’s makes you stand out from others .Thank you for your work. Like some of the other listeners, I truly appreciate the offered elections each month and look forward to them! They are the highlight of the episodes for me and I love using them. OMG this awful ISAR statement ! People are tired of shady things like that. Is is that hard to be authentic, transparent, to admit being wrong and ask forgiveness and learn from that ? Please keep recommending elections. I’m learning so much and do use them the day and the night elections. Thanks for a brilliant podcast. The elections are not useful to me. If I need an election I can focus on the issue and find an appropriate chart. I prefer the forecast section of the podcast. And, agreed great discussion for December. Brilliant podcast! Very good breakdown and analysis,. Much food for thought and it is good to hear some clear thoughts and well thought out analysis. Yes, please keep the elections. I always enjoy this podcast. You three have a great blend of styles (Austin, I will never tire of you deep-dives and analogies–both informative and inspiring). I’ve always enjoyed the explanations behind the elections. It piques my interest in electional astrology. I hope to study it at some point. So, I vote to retain the elections segment. This email may seem like complaining and wanting to pick a fight, but I am arguing for more rigor and restraint when it comes to astrological analysis. We can’t just pick and choose what supports our position. Austin mentioned The Fool card and its supposed correlation with Uranus and Donald Trump’s Sun conjunct Uranus – and how Trump was the Joker in the pack who ended up winning. It all seems to make sense. The reader picked a single card for each candidate, and really we ought to know the cards for the other candidates in order to compare and contrast them. That aside, though, If Trump is or was The Fool, this can be indicating that he is a fool – and many did not takae him seriously throughout the campaign. The card may have been saying that he is an idiot. The card may have been indicating that he is inexperienced or that he is out of his depth or too new to the situation. The meaning of the card depends on the question, but you can’t make up the question later to fit the facts. The question sets the limits. The card was chosen for the candidate – not for would he win the nomination and or would he win the election – these are particular, and not general questions. The card shows what he is like, and not so much how will people respond to him or are they going to vote for him or how many people will vote for him; we don’t know how the public will react. What we do get is that Trump is a or the fool – foolish, reckless (about to step off the cliff), untested; ignorant (literally not-knowing) since not experienced in that area; not a professional politician. We’re not supposed to read all sorts of convenient “facts” into the card after the fact. At the same time, is Trump Uranian? The Sun was conjunct Uranus, but FIVE DAYS before he was born, so maybe he’s not so Uranian. Does his Uranus have strength because it rules an angle? Maybe it rules the 7th, but not if he doesn’t have Leo rising and that is very possible. Is Trump the Sun in Gemini ruling the Asc.? Or is early Virgo rising ruled by Mercury in Cancer and soooo touchy and insecure? I think we’re asking for trouble if we start with an opinion and find it apparently proved in the chart. Dear Jen: About Trump’s Asc. If Donald’s mother had shown us his natal chart and asked who he would be likely to marry, what would we have said? With late Leo rising, this puts the Libra decanate of Aquarius on the 7th, so the first wife would be a combination of Venus and Saturn. Is this Ivana? Maybe – she did do madelling, was involved with Donald’s businesses (Venus ruling Donald’s Taurus MC). With early Virgo rising, we have the first decanate of Pisce on the 7th, so we look at the personal ruler, Jupiter (foreign countries?) in Libra. Is this Ivana? Maybe – born in Czecoslovakia; lived for a while in Montreal before moving to New York; modelling; involved with Donald’s businesses – in Libra, and with a Taurus MC, both ruled by Venus. There isn’t something definitive here, and you can make an argument for both signs, though maybe the fact that Ivana has the Sun at 1 Pisces points to Donald’s Virgo rising. There’s more, of course, but this is maybe not the place for it. I’m not sure of Chris’s polcity when it comes to discussions after podcasts. He may prefer to keep to the subject of the broadcast and not get sidetracked. Please keep the elections if you can. I’m fine with just the forecast. 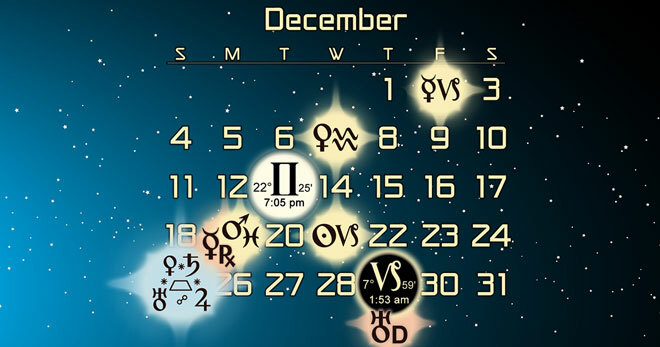 Can you please comment on the transits on December 19th? This is the exact date that the Electoral College votes and there is a movement to ask electors not to vote for Trump. The recounts are also taking place starting December 1st to be certified on the full moon on December 13th. It would be really helpful if you could comment on this time period with these events in mind. Thanks! I used to zone out the elections in previous podcasts but have found them very informative and useful in the last several months, especially as you explain what they’re good for. If it’s not too much work to keep them, even a select few, I’d appreciate it. Great work. I always look forward to listening. Love all your stuff but personally find the elections boring. Much more interested in the Hellenistic astrologers and techniques. Chris has a great supporting cast……..Austin, Kelly; Lisa, Ben talented and cerebral astrologers. Some of the best podcasts have been for me Whole sign house debate, Saturn return and Saturn in Sagittarius plus the lives of the Hellenistic astrologers. It seems like opinions have been pretty strongly divided over the electional segments. At this point I’m thinking about separating the electional portion from the monthly forecasts, and making it a separate patron only bonus each month. This is kind of necessary at this point because since I’m no longer doing it for TMA I’m not really getting paid for it and don’t have the same motivation, plus it is kind of a hassle to do on a regular basis. Making it a patron bonus would make it worthwhile enough that I think I could make it work though, and I know it would make people who skip over it in the forecast episodes happy to have it separate, while still making it available to those who really want it. It also solves a separate issue of wanting to find ways to give more bonuses to patrons. It would probably be a 30-45 minute discussion between Leisa and I each month. What does everyone think about that plan? I find the Elections quite amazing. I elected two big multi-month projects in August that have gone fantastic. I would like to see this technique continue to be spotlighted. I found it quite powerful that there are no good elections this month. And it reinforced many of themes explored for the December forecast. It helps me to prepare for what will be a month of surprises. I would be happy to increase my patron contribution to help support the hour of work it takes to create these elections. I realize that not everyone responds to electional astrology. But for those of us that do, it’s a helpful service and creates a sense of community over sharing results about how enterprises go that were conceived on certain dates. YES!!!!! a separate podcast. And I am not sure how this works but you may be able to see how many tune in ? Not only is his ascendant conjunct Regulus, but his Sagittarius moon applies to trine the star in about 8 degrees. An ascendant conjunct Regulus is powerful as it is, but with the moons application as well…Trump is essentially a living breathing Regulus talisman. No wonder why circumstances seem to mostly always go his way. I think I know know what you are getting at, except, what about the other (millions? of) people who also have Regulus conjunct the Asc. that we never hear about. Why would the aspect from the Moon be crucial? Trump has been bankrupt, has lost businesses, had many business failures, two failed marriages, and lots of people hate him. I know he has had success, but what does Regulus really show here? Of course lot’s of people hate him. Successful people always have a lot of people who hate them. People get jealous, any successful person will have people who hate them. The moon is important because according to astrological talisman magic in order to create a fixed star talisman you need 1) the star rising or culminating 2) an applying good aspect of the moon to the star (conjunction, sextile, trine). This is according to Agrippa from 3 books of occult philosophy. A lot of people do have Regulus rising, but it’s a small percentage of the overall population. As they said in the podcast it’s a bit of a trump card according to the ancient astrologers. The moon applying to a trine as well just really amplifies the Regulus effect for trump. Having the star rising and the moon applying is quite rare for a birthchart. Everyone has setbacks, but circumstances have clearly favoured him from the get go, he was born with a silver spoon in his mouth, he’s made billions, he’s a reality tv star, he became president even though he’s completely unqualified. Some people pull mainly 2’s and 3’s in life, trump pulls mostly aces and kings. Maybe not much. I have Regulus as an conjunctions to Pluto 26 Leo and continues on to conjunct a 3 degree Virgo ASC – so, out of sign and not partile, but I have a very humble life and have never been crowned queen for the day or of anything. EXCEPT I had two Leo bosses who loved me. Did feel like a queen there. A chart can only show how you may live forward from your birth base. Trump was born with a wealth base that few of us have access to. This in itself would bring him opportunities that we don’t have. At 100% rise from 100 is 200. A 100% rise from 5 is 10. = Very different lives. He is also a sociopath and so is willing to take advantage of others to a degree that most of us would never do. My experience with my progressed sun changing sign twice now is that your birth sun life drive stays the same but the methods you need to use to meet your drives has to follow the progressed sun. When my progressed Capricorn sun went into Aquarius I had to use technological and mental processes to get ahead. When it progressed into Pisces I fell into the ocean of the unconscious for 30 yrs. Now it has progressed into Aries and I have to get back on my horse and ride. Trump has succeeded by being as Leo as possible for the past 30 yrs. Now he will have to learn to use Virgo processes to succeed. I found that the change over takes some time to get used to. You keep using the familiar processes but they don’t work like they used to. The harder you try doing the same thing the more the failures mount until you finally wake up about 4+ years later to your new reality. Unfortunately we, as a country, are going to have to live through Trump’s finding out the Leo doesn’t work so well anymore and a more measured and careful process is required. We may not survive his training time. The US progressed sun moved out of Aquarius into Pisces about 8 years ago and Neptune has been transiting over it for a while now. So now we are faced with addiction to money, drugs and phones and other things. Lots of fantasy about the world and a desire to be saved (by Donald Trump who will take care of everything for us). The Internet is the Collective Unconscious and I think that we have fallen into it and our losing our sense of personal viability. There are many other Piscean things going on. The explosion of addictive drugs has now come to collective consciousness. Only a more collective and compassionate (Pisces) approach will deal with the issue. There are lots of other Piscean processes going on. As a culture we will have to deal with our Shadow and unconscious issues to be able to get through these next few decades successfully. The world has become disenchanted, dull and boring. We are now escaping into fantasy to escape this. But fantasy goes nowhere. Watching more Star Wars movies may make Disney rich but won’t solve our real life issues. Neither will spending our lives with our heads in our phones. We will have to find a way to re-enchant the world and our personal lives in a creative way and develop process that support the common good (Pisces) if we are going to succeed for the next 20+ years. Aquarian individualism is no longer sufficient to meet the reality of the world we live in today. I enjoy the election portion of the podcast, not just as the elections are useful but also because the discussions you, Kelly and Austin have around the elections are interesting, things are brought up which might not have been and I find that is enriching to the podcast as a whole. I realize however that it may not be worthwhile for you to put the elections in the main podcast anymore, and want to thank you for giving the elections for free for so long, I’ve loved them. Regulus rises once each day, and if we allow a couple of degrees for an orb, then we are looking at a window of about 17 minutes of time, per day, when a child could be born with Regulus rising. Trump’s Moon is 7 degrees – so we’re talking about 12 hours to travel that distance – from a trine. If we can consider conjunctions and sextiles too, presumably waxing and waning, this adds more possible birth times that would qualify . UNICEF estimates that an average of 353,000 babies are born each day around the world. That’s current, but even if we use a reduced number of births and stick with births in the US, it’s hard to imagine that there are only a small handful (joke) of people with the configuration that supposedly makes Trump successful. I think the vituperative hate for Trump is not of the same nature as passing jealousy and annoyance people might have with successful people. Bob says: Everyone has setbacks… but it depends what you mean by “setbacks”. Paying $25 million to make the Trump pretend “University” problem go away, might be more than a setback. Trump has quite a shady past, with well-documented dealings and connections with organized crime. What accounts for this? A fixed star with an aspect from an afflicted Moon seems weak as protection. Trump was born in Queens, and it may be true that he has been motivated to prove to those born with real silver spoons in their mouths – in Manhattan – that he is their equal. Lastly, Bob says Trumps has “made billions”… Maybe he has, but we don’t know, not having seen his tax returns, and we don’t know how much he owes to his creditors. I think we have to be careful with natal charts, and not start with what we think we know because then we’ll find “proof” of it. Better to start with the astrology and follow its lead. That’s why I’d like to what is really going on with Trump’s Regulus. I LOVE the elections and find ’em really useful! More thoughts on Trump. Your primary connection to the world is not just your ASC degree. It is the whole first house. I have a late Capricorn ASC and Aquarius in the first and I have a large Aquarian aspect to my personality. Trump has his first house full of Virgo so he doesn’t need a Virgo ASC to have Virgo traits. I didn’t see any mention of it during the election but he had a Jupiter return in his 2nd. house for the election. Now this yr Jupiter is back and forth c;lose to this as well as being trine his sun and sextile his moon most of the year. Saturn will be opposition his sun and conjunct his moon too. In my counseling practice I noticed that mutable sign people seem to do well under Saturn transits. It is as if the Saturn gives them a focus for their energy that is usually less focused. On top of this Uranus is in Aries trine his ASC and moon, Saturn is also trine his Asc and the Aug Eclipse is conjunct his ASC and mars (there is a grand trine in fire). What will he do with all this energy? Will he be able to direct it or will he fly too close to the sun. Back in the late 1980’s when Saturn was last in late Sag Trump flew too high and bought all those casinos which then crashed and burned. He came out OK but lots of people who did the work got shafted. Will he do the same now, but this time it will it be the US citizen who are left holding the financial debt and broken promises? His progressed sun has been in the 12th. house for many years and all his companies are privately held and out of the public eye. Now his progressed sun has moved into the first house where it can be seen. Will this force him into showing what he is doing? He has tried to keep his secrets by saying that he won’t be interviewed by the press, but I am not sure if he will be able to get away with this now. Lots of Trump’s success has come because he was able to wheel and deal behind the scenes. With a 1st house progress sun will this change? This will be a great Astrology lesson to watch how the US and Trump’s charts unfold in full view of all the world. Transiting Saturn is in the US first house so we have to take a lot more responsibility as a nation and as individual people. Our Karmic debt for self agrandizement has come due. We are also coming up to our Pluto return with Saturn there for the ride in 2020. It takes a full 248 years for any country to have a Pluto return. We also have progressed Mars Retrograde for about 70 years which may mean that the government turns against its own people. Transiting Pluto has also been square the US Saturn in our 10th house taking a wrecking ball to our government structure and the status of the Office of the President. The basic power structure on which this country was founded is up for review. This country was built as a Slave Economy and this Slave Economy has expended to include lots of people. How many people are slaves to their credit card bill or to their low wage jobs or their drug dealer? How many people do we keep in prison because we don’t want to educate them or have jobs for them? The Masters move the jobs to other countries and treat workers like commodities to be discarded when not needed any longer. The first struggle for general autonomy for a majority of the people took a long, hard, and bloody internal and external war. Now we face a similar situation. If you remain passive, you will get eaten by the powers that be. Every person who wants to make it through the next decade needs to be asking themself “What do I need to do to be as capable, able, self sufficient, and debt free as I can be? How do I get together with others to develop a healthy and strong social network and community of friends who work to help strengthen one another?” Tom Friedman’s new book takes a good look at what we are facing for the rest of our lives. Thanks for listening to my rant. @JaniceM – you may be interested in reading White Trash by Nancy Isenberg if you have not already. As for the August eclipse conjoining Trump’s Mars and ASC (and square fixed star Algol on MC). – “On top of this Uranus is in Aries trine his ASC and moon, Saturn is also trine his Asc and the Aug Eclipse is conjunct his ASC and mars (there is a grand trine in fire). What will he do with all this energy? Will he be able to direct it or will he fly too close to the sun. – I think he is going to get heady – lose his head a bit – be really full of himself. Algol is about losing one’s head – one’s bearing as it were. Moreover, the eclipse is solar so he will have a sudden awareness of something his ego will grasp onto, and in the first, will IMO be related to his new way (pr Sun) and new exposure. The part that concerns me is that he will be commander in chief of the armed forces and his Mars will be involved making his role with the militia and all things marshal part of this identity. I am very curious. I also really love the elections , look forward to them and use them. I want to thank you all for the many wonderful discussions that a fruit of thought. I would welcome the gentle push paying for the elections would provide towards donating more regularly to a podcast I love. I would prefer the elections be delivered by Chris, Kelley, and Austin. I understand I’m asking a lot, but I really prefer the three of you together!